Given some of the recent technical issues during the first days of GTA online, and now that things are starting to look much smoother, Rockstar Games are currently giving away a special stimulus package for all who have played or will play Grand Theft Auto Online this month. 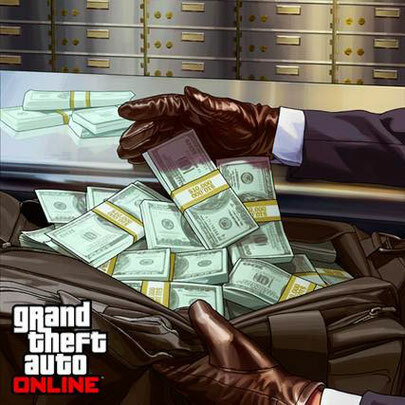 They will be dropping a cool half a million GTA$ in the GTA Online bank accounts of all players this month, which already started this week. In order to keep the current worldwide in-game economy balanced, Rockstar Games will be providing this GTA$ to players via two deposits of $250,000. The first installments should have happened this week with the second installment to happen by the end of the month. For players who experienced cloud server errors, connection issues, and lost game progress and characters in the first days of GTA Online, the GTA$ will help to facilitate a fresh start or make your continued life in Los Santos and Blaine County extra sweet. Players will first have to install a forthcoming GTAV title update. That title update (1.04) is expected to fix the remaining instances of issues that have caused vehicle purchase loss and will also enable the functionality through which they’ll be providing this GTA$ stimulus cash to players. They will announce at the Rockstar Newswire when each deposit is made. Each of the two GTA$250,000 deposits will be made by Rockstar and should automatically appear in the in-game GTA Online bank accounts of eligible players. Beyond downloading the forthcoming title update mentioned above, there should not be any additional special action required by eligible players to redeem.